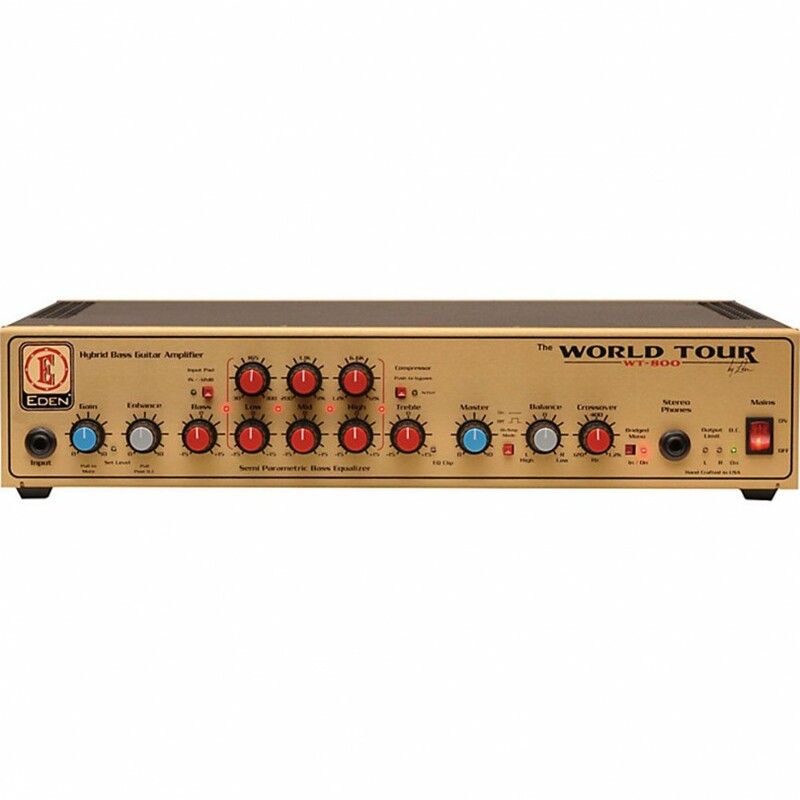 he powerhouse Eden WT800 World Tour Bass Amp Head features a tube hybrid stereo amplifier design with a conservative rating of 440W per side into 4 ohms, 880W bridged into eight ohms, and 3dB of headroom. If you need to move a lot of air, this is a bass head that will do it. The Eden WT800 bass amp head also has a -12dB input pad, switchable automatic compression, 5-way semi-parametric tone control, mono pre- and stereo-post tone control effects loops, stereo aux inputs, a DI out with ground lift, headphone out, tuner out, and a thermostatically controlled fan.